LORAIN, Ohio - A veteran's shelter relied upon by dozens of Cleveland veterans was robbed of its donations. "I could be homeless and I'm not," Carmen Tucker said. For Tucker, and so many other veterans, Valor Home and Family and Community Services offer more than shelter from the streets. Tucker calls it his second chance. "They gave me the opportunity to achieve some of the things I need in my life to move forward," he said. But when he learned someone stole their donations? 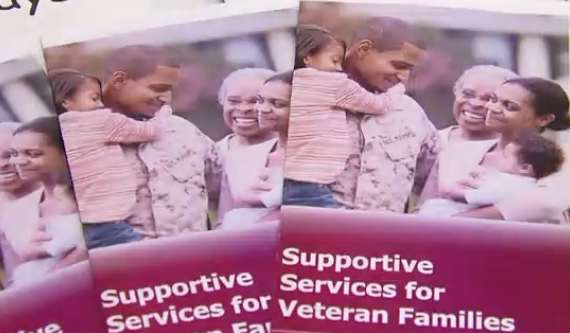 Someone stole cash, gift cards, food and cleaning supplies meant for veterans. "I probably can't say what I want to say on TV," he said. Senior Veteran's Advocate, Sandra Wright, said those are items they provide to any vet who comes through the door and needs some help. "It hurts ! It's here to help other people," Wright said.